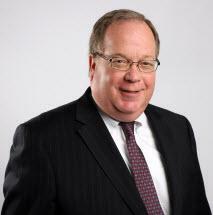 Mr. Kueny has been practicing law since 1986, specializing in the defense of civil litigation matters. Mr. Kueny has handled a wide variety of cases, including appellate work, asbestos, automobile, drill/saws, elevators/escalators, general defense, grinding wheels, hoses, insurance defense, mixed dust, motor vehicle accidents, car rental claims, Phen-Fen, PPA, premises liability, products liability, property damage, section 1983/civil rights, silica, UM/UIM and workers' compensation. He began his legal career as an associate at Sweeney, Sheehan and Spencer (1986-1991), and thereafter Kelley, Jasons, McGuire and Spinelli (1991-1995). He was a founding shareholder at Speziali, Greenwald, Kueny & Hawkins (1995-2000). He joined Wilbraham, Lawler and Buba in 2000 and became a shareholder in 2002. He has successfully tried hundreds of cases in state and federal courts located in PA, NJ, NY, DC, ME, FL and TX.